Rainbow Six Siege is an intense, new approach to the first-person shooter experience. DESTRUCTION AS A TOOL: Walls can be shattered and floors can be breached. Let nothing stand in your way as you master the tactics of destruction. CLOSE RANGE FIREFIGHTS: No getting lost, and no getting away. Prepare for the intensity of up-close-and-personal firefights in every game of Rainbow Six Siege. 7-day exclusive access to each upcoming season's new Operators. *Rainbow Six Siege Season Pass content evolves ! With the Season Pass, you will get all new content for free. ©2015 Ubisoft Entertainment. All Rights Reserved. 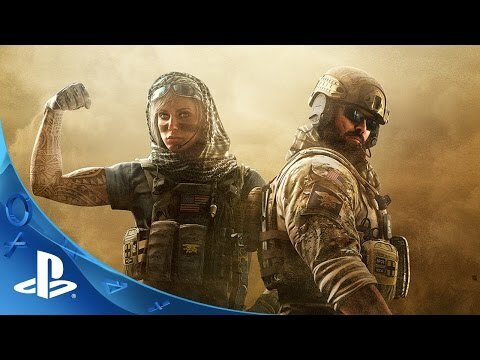 Tom Clancy's, Rainbow Six, The Soldier Icon, Ubisoft and the Ubisoft logo are trademarks of Ubisoft Entertainment in the U.S. and /or other countries.